There are so many things in the world which is interesting but stars are the most interesting thing for you. You love to stay outside and gaze at the stars. As time goes by, you want to take it to a whole new level. Because of that, you aimed to be an astrologist. Your hard work pays off because you are now a real astrologist. This just make you more eager to look at the stats every night and hoping that you might discover something new. Tonight, the news says that there will be a meteor shower and you can't miss the for the world. Your telescope is ready but the problem is, you can't escape from your room. Because of that, you have to find the quickest way to escape from the room. The only thing that can open the door is the key. Unfortunately, you don't know where that key is. The good news is, there are hints that can help you to locate the key. On the other note, there are puzzles that you might need to solve to completely find the key. 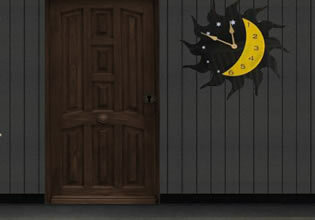 Play Astrologist Escape, the newest room escape game by 8b Games and use your logic to escape. Good luck!